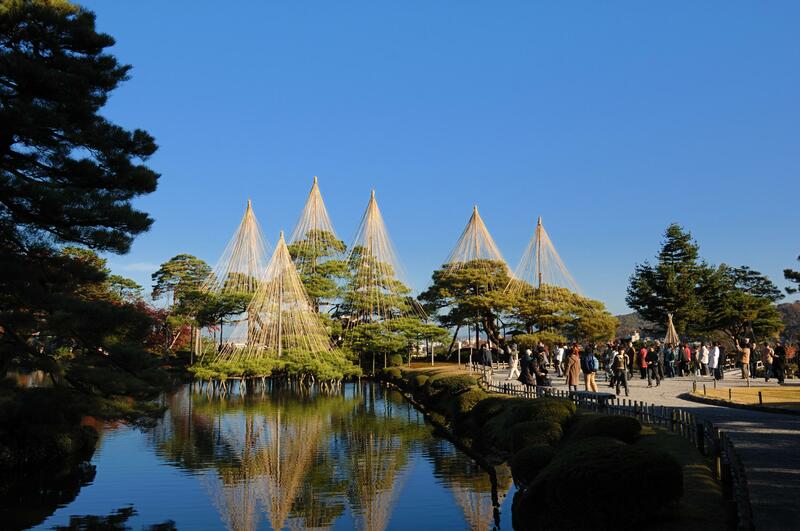 Kanazawa has been a city of fair importance in the last centuries of Japanese history, but it would have never become the famous tourist place it is today if it hadn't been spared by the bombings during World War II. Thanks to that, the city has managed to preserve one of the largest architectural heritages of ancient Japan that have survived to the present day. Moreover, after the war various museums and cultural sites have been inaugurated, and today Kanazawa can be considered the second largest city in Japan, after Kyoto, for those looking for a cultural and historical tourism. The term "ochaya" (お茶屋) in Japanese means a place where one go to drink and eat, and in the meantime be entertained by one or more geishas. In Japan, during the Edo period, all such establishments were confined in special wards known as "hanamachi" (花街) or also "chayagai" (茶屋街), where it was also common to find other kinds of entertainment, such as pronstitution. 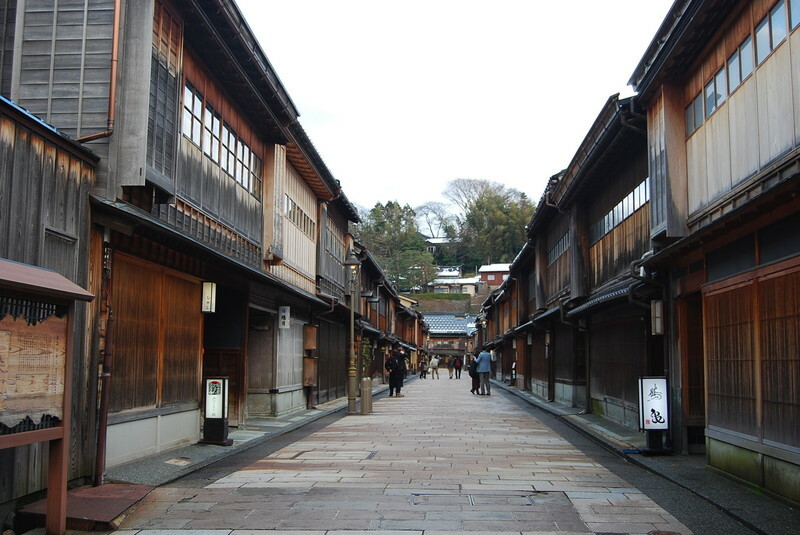 In the city of Kanazawa have been preserved, as historical sites, three different old "geisha districts", called respectively Higashi Chaya, Nishi Chaya and Kazuemachi. Unlike similar districts in Kyoto, still in business, in Kanazawa the function of these areas is nowadays only that of a tourist spot and nothing more. Higashi Chaya is the most famous and extensive of the three former geisha districts in Kanazawa, and it is located about two blocks east of the river Asano-gawa. Since it's the most famous one, it's also the most popular among tourists, and many of the wooden two-story buildings have been converted into restaurants, souvenir and local products shops, and tea houses. One of the buildings that once housed a ochaya where geishas used to perform, the Shima Teahouse, was opened to the public and the interior can be visited (500 yen, 9-18). A very small area, located across town to the west of the river Sai-gawa, where to find other examples of old wooden two-story buildings that once housed the ochaya. Some of them have been converted into upscale restaurants. The interior of one of the buildings, known as Nishi Chaya Shiryokan, can be visited (free admission, 9:30-17). 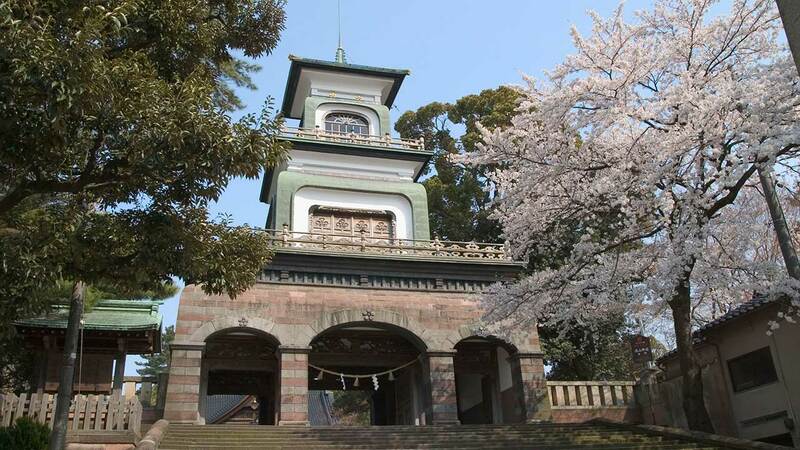 The least famous of the three chayagai of the town, it has a special charm because it is located right along the river Asano-gawa, to the west, not far from the area of Higashi Chaya. Here there is also a small Shinto shrine, known as Kuboichi Ototsurugigu. One of the access routes to the district is a narrow staircase, called Kuragari-Zaka, that is never illuminated by sunlight because of the buildings that surround it. The town castle was built for the first time in 1580, and since then it will be, for nearly 300 years, the main stronghold of the powerful Maeda Clan. Various buildings were built over the centuries, and many were destroyed. Only the warehouses (Sanjikken Nagaya) and one of the entrance gates (Ishikawa-mon Gate) survived to the last calamity that befell the castle, a fire in 1881. Since the end of the 90s of the twentieth century a number of new buildings have been rebuilt, and others will be rebuilt in the future, trying to reproduce them as closely as possible to the appearance of the castle before the last fire. As for the main keep of the castle, it was destroyed in 1602 and never rebuilt. The only bulding with an admission fee (310 yen) is the Gojukken Nagaya, a long warehouse built along with two turrets and opened in 2001, which exposes in its interior some info about the traditional carpentry used during the construction work. 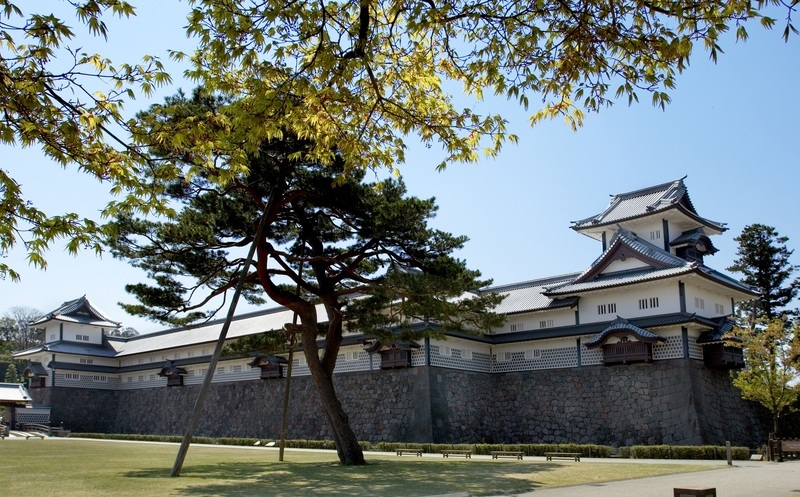 All buildings are scattered around a large area full of trees and green fields, known as Kanazawa Castle Park, which can be enjoyed for free during opening hours. Faced with this green park, to the south, you can visit the Kenrokuen Garden, once an outdoor garden of the castle, where the samurai of the Maeda Clan used to come to relax. This traditional Japanese garden is one of the "three most beautiful landscape gardens of Japan" along with the Kairakuen in Mito and the Korakuen in Okayama, and, if there was a further ranking among these three ones, it would be the main candidate to get on the highest step of the podium. 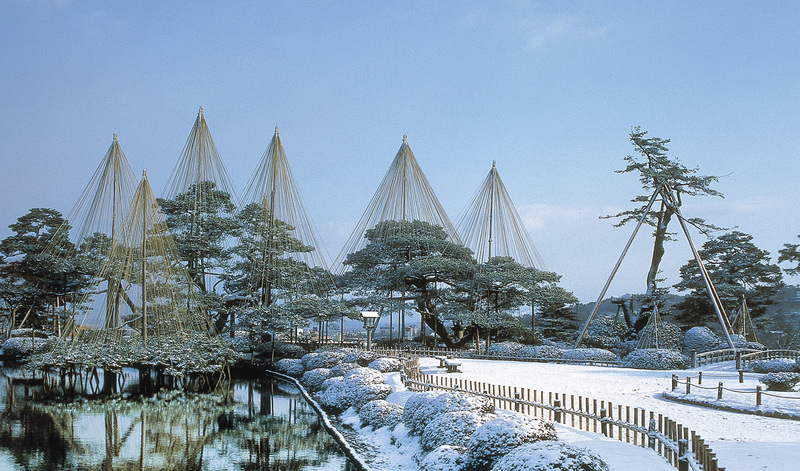 Therefore this place is among the top places to visit in the city of Kanazawa. It was built at the behest of the Maeda Clan since 1620, and several extension works followed one another over the following centuries. The garden is located next to the Kanazawa Castle, and for a long time it was its outdoor garden, until its opening to the public in 1871. It is home to almost 9,000 trees and 183 different species of plants, two ponds, a natural-jet fountain among the oldest in Japan. Given the popularity, it could be very busy at certain periods and certain times of the day, and the crowd slightly lessen the magic of the place. To avoid that, try to visit it as soon as possible in the morning, while the mass of tourists is still sleeping in bed. 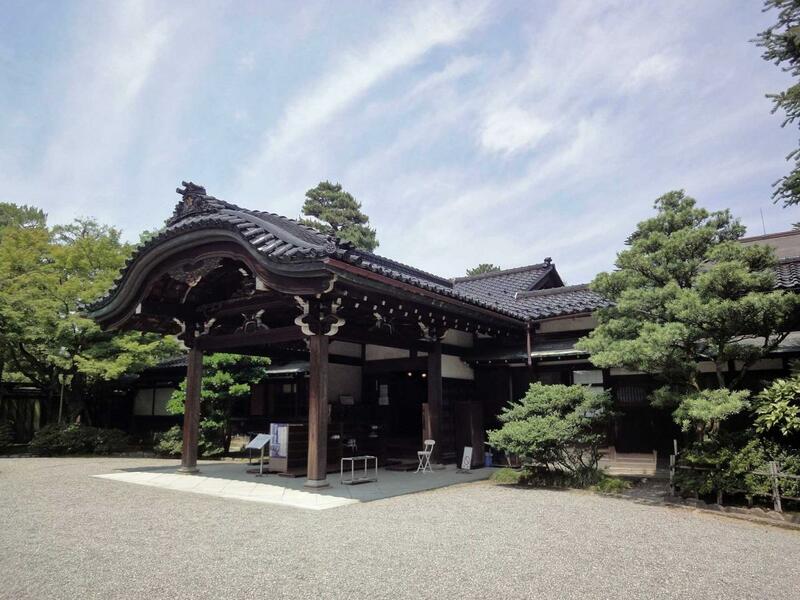 This building is located right next to the Kenrokuen Garden, and it has got two different entrance gates to the public, one outside and one directly from the inside of the gardens. It is an original example of Japanese feudal villa (samurai villa), built in 1863 by a nobleman belonging to the Maeda Clan, for his mother. Nagamachi is an area located near the Castle, where once resided the samurai with their families, and for this reason it is today known as the Kanazawa Samurai District. In this neighborhood have been preserved or rebuilt some of the old samurai residences, and in some cases you can visit the interiors. Don't imagine a charming old atmosphere through the streets of this neighborhood, it is a part of the city like all the others, with many modern buildings, there are very few sights for which it is worth stopping to take a picture. The former residence of the Nomura family, a local powerful family of noble samurai, it has been restored and now it's open to visitors. It is the most visited place in Nagamachi among tourists. With a visit you can get an idea of how the wealthy samurai of the time lived, enjoying the small but lovely garden, and drinking a cup of tea in the tea-room of the house. 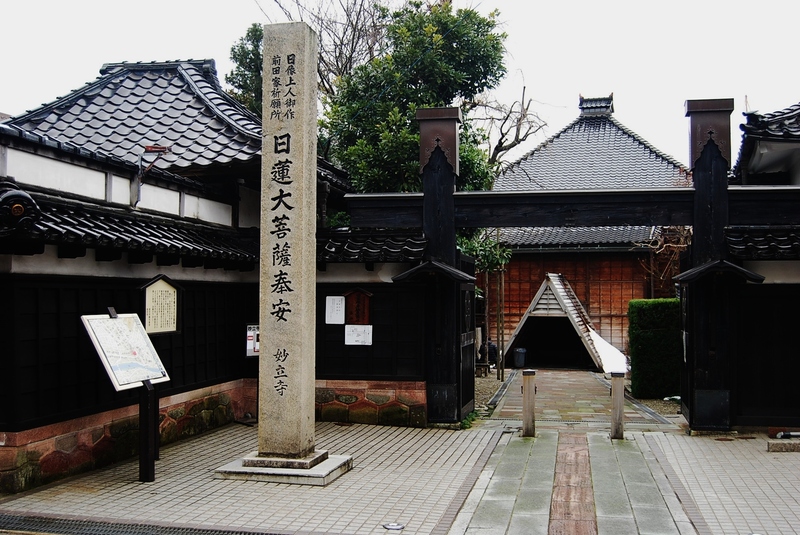 The city of Kanazawa is full of small museums. Below is a list, not totally exhaustive, of the museums in the city. On the banks of the river Sai-gawa, in the south of the city, there is the area of Teramachi, the main temple district of the town. On the streets of this area there are many Buddhist temples, most of which are unknown to tourists. The most famous temple in the area is undoubtedly the Ninjadera. A buddhist temple situated in the west of the city, not far from the Nishi Chaya district. The word "ninja" in the name of this temple is only a sort of nickname that has been given to it, the temple in fact has nothing to do with the legendary ninja warriors and its original name is "Myōryū-ji. The reason for this nickname is quite simple: this temple is famous for being full of traps and secret passages, built since 1643 when the temple was moved to its present location for defensive purposes. For many years it was a "shield" of the Castle, and the secret passages were built in order to allow the guardians of the temple to escape and be able to reach the castle in case of attack. The interior of this temple can be visited only through guided tours that take place every 30 minutes from 9 to 16:30. Guides speak Japanese only (but if you are a foreigner you will be given a detailed booklet written in English) and advance booking by phone is required. The number to call is 076-241-0888.All details about how to reserve a visit of this temple can be found here. This Shinto shrine was built in 1599 in honor of Maeda Toshiie, the founder of the Maeda Clan, powerful family of samurai based in Kanazawa, second in importance only to the Tokugawa family. Initially located in another area, it was moved to its present location in 1873, and in 1875 it was built what is now the most unique attraction of the shrine, a large entrance gate designed by a Western architect, a Dutch architech. This gate is 25 meters high and includes elements of traditional Japanese, Chinese and Dutch architecture. Very peculiar is, above all, the top of this gate, which has got a stained glass window reminding the Christian churches. 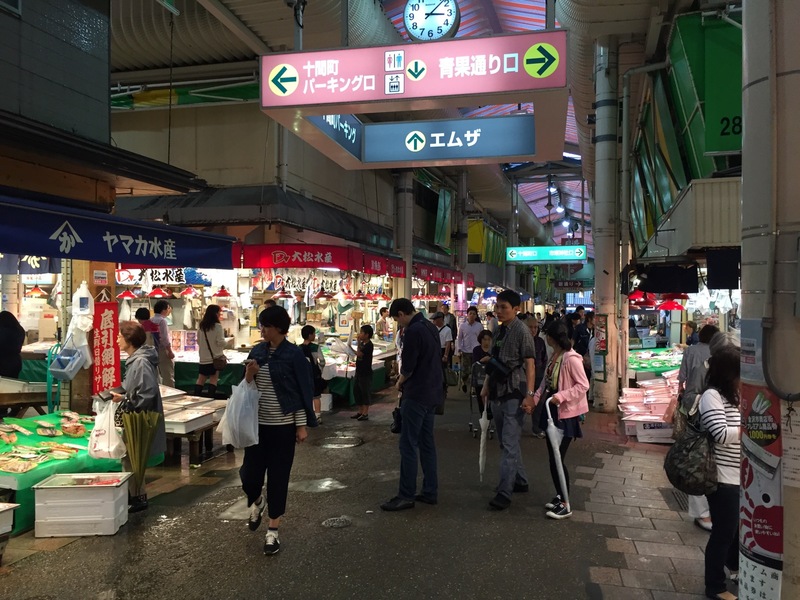 The largest market of the city, established in the mid-1700s, and since then a reference point for the inhabitants of the city, today it's still very popular with both locals and tourists. Inside there are about 200 stores mainly of food, fresh local meat, fish and vegetables, but also some small restaurants, very crowded especially at lunch. A hostel offering both dormitory beds and private rooms with shared bathrooms, located in a very strategic position to visit the city. The castle and the city market are located nearby, the station can be reached in 15-20 minutes on foot, the Kenrokuen Gardens, the samurai district and the old geisha districts in 10 minutes or less. Guests have access to a common room and a kitchen, in addition to a cafe located inside the structure. 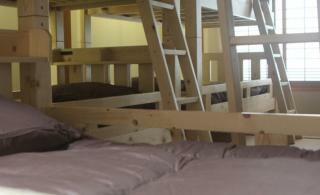 I recommend this accommodation only to those looking for a hostel and dormitory beds, from 2800 yen per night. I don't recommended their private rooms, whose prices are similar to those of better and more comfortable hotels. If you are looking for a hotel with no frills but with everything you need for a comfortable stay,and located near Kanazawa station, this big business hotel is one of the best accommodations for you. 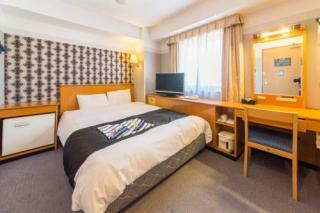 Directly connected to the station, single rooms from 6000 yen per night and doubles from 7000 yen per night. A small family-run hotel, located in a very strategic position to visit the city. The castle and the city market are located nearby, the station can be reached in 15-20 minutes on foot, the Kenrokuen Gardens, the samurai district and the old geisha districts in 10 minutes or less. Inside the structure there's also a cafe where to have breakfast. Single rooms from 5,000 yen per night, doubles from 7500 yen per night, deluxe rooms are also available for a few more yen. One of the branches in Kanazawa of one of the most popular Japanese business hotel chains, located in the modern part of the town, full of shops, malls and restaurants, but not far from the castle, Kenrokuen Garden and other places of interest, almost all within 10-20 minutes walk. The station is a little further away, but you can get there in a few minutes by taxi or bus. On the top floor there are also spacious public baths and sauna available to all guests. 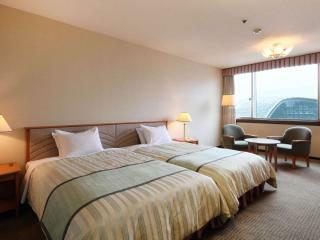 Single rooms from 6000 yen, doubles from 7500 yen per night. Kanazawa is known among tourists who go there as a historic city, so the few ryokan in the city are much in demand and prices are much higher than average. For this reason, in general it would be better to try the experience of staying in a ryokan in some less famous place, but if you have enough money to spend, it's undoubtedly a memorable experience. An authentic Japanese ryokan, in a building dating back to 1890, with an interior garden overlooked by all the six rooms of the ryokan. 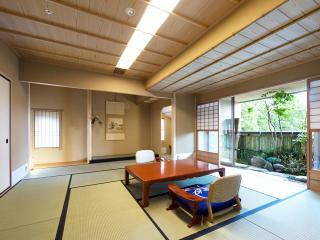 The cheapest of all rooms is of almost 50 square meters and costs 80,000 yen per night for two people. All prices include breakfast and dinner, both traditional and delicious. We are therefore talking about a structure of excellence, where you'll find the utmost care to every detail, and to judge the price you have to compare it to the one of the most luxurious 5-star hotels. If you are wealthy enough to afford it, do not think too much and spend at least one night in a place like this, you will not regret. Kanazawa station is the main railway station in Kanazawa. When you arrive at this station, located a few kilometers away from the most famous tourist areas, you can move on foot, by taxi (they're very short distances, so fares are quite affordable for anyone), or public bus. Kanazawa is a city that, if you're a very good walker, could be all explored on foot (not in one day though), but anyway you'd need to walk a lot, so there's a bus line that will be very useful (Kanazawa Loop Bus). There are other lines that might be useful and mentioned in some guides, such as the Kenrokuen Shuttle Bus connecting the station and Kenrokuen Gardens, but the Loop Bus is the most common one and the easiest to take, the advice is to straight look for and take this line, and avoid losing time looking for other lines just to try to save a few minutes on the bus or some yen. A circular line, with bus running both clockwise (Right Loop) and counter-clockwise (Left Loop), which stops near almost all tourist places of the city, and also in Kanazawa station. At this link you can find map and timetable. The main point of arrival in the city of Kanazawa is the JR Kanazawa station. Kanazawa and Nagoya are directly connected by the limited-express trains called JR Shirasagi (6810 yen, about 3 hours). The bus companies Hokutetsu Bus and Meitetsu Bus offer connections by bus between Nagoya and Kanazawa (4000 yen, 4/5 hours). Tokyo (Tokyo station and Ueno station) and Kanazawa are directly connected by high-speed trains shinkansen, called Hokuriku Shinkansen (14,000 yen, 2 hours and a half). Tokyo and Kanazawa are also connected by some bus lines, the journey takes 7-8 hours. One of the companies is the great foreign-friendly bus company Willer Express, which offers connections by night bus from 5,500 yen. Further information here. The JR limited-express train called JR Thunderbird connects Osaka and Kyoto to Kanazawa. The departure station of this train is Shin-Osaka, and Kyoto station is the next stop before heading to Kanazawa. 7130 yen from Osaka (2 ore and a half), 6380 yen from Kyoto (2 hours). Osaka and Kyoto are connected with Kanazawa by bus thanks to several companies: Hokutetsu Bus, Hankyu Bus and Nishinihon JR Bus. A bus ride takes 4-5 hours and costs between 3500 and 4500 yen. The closest airport to Kanazawa is Komatsu airport (KMQ), a small airport located 40 minutes by bus from Kanazawa Station.